Adelaide Wilson (Lupita Nyong’o) and her family return to Santa Cruz and to the beach house she grew up in. But as a child Adelaide suffered a traumatic experience. Now, Adelaide becomes concerned that something is going to happen and not in a good way. That’s when four masked strangers arrive at the house, forcing the Wilsons to fight for their lives. When the stranger’s masks come off, the family learns that each attacker is their own personal, evil, doppelganger. So I’ve said before, I do love me a good horror flick. But those good ones aren’t the easiest to come by. Director, Jordan Peele, on his first attempt at directing came out strong with “Get Out”. I thought that the film was so good and different. But the one thing I didn’t call it was a horror film. I saw it as more of a “Psychotic Thriller” that had a few good jump scare moments with blood here and there. And personally, I see “Us” the same way. And that’s not a bad thing. 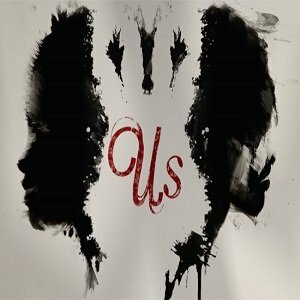 I really enjoyed “Us”. It’s a film that you really have to pay attention to because almost everything you see and hear are clues that will explain things later on. And there is a lot. The cast, led by Nyong’o, was fun to watch. I must admit my favorite character was the father, Gabe, played by Winston Duke. His straight-faced comedy was a nice touch to this. Add with that, the other family in the film, the Tyler’s, and what happens with them… Yup, it gets crazy. Like “Get Out”, I think fans will be pleased with “Us. Even though it wasn’t the horror flick I was hoping it would be, a good story is still a good story and you can’t be mad at that. That makes Jordan Peele 2 for 2.